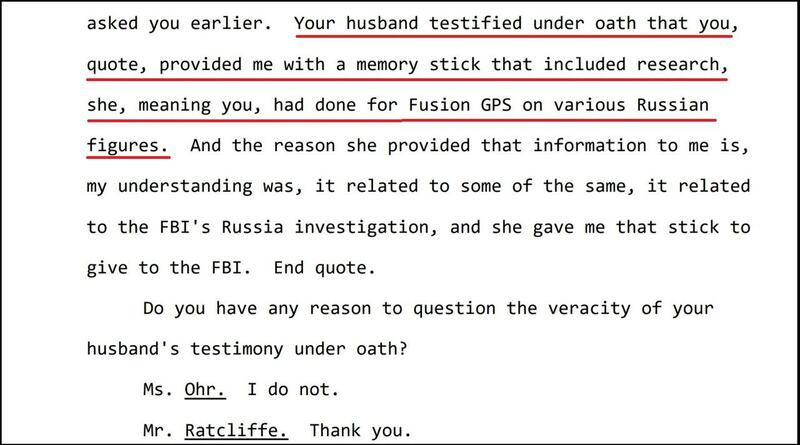 The wife of former Justice Department #4 official Bruce Ohr conducted extensive opposition research on Trump family members and campaign aides while working for Fusion GPS - the firm paid by the Clinton campaign to produce a 'salacious and unverified' Russian-sourced dossier which would later be used against Trump and his campaign. According to a newly released transcript of Nellie Ohr's closed-door Congressional testimony, Ohr - who speaks fluent Russian, explored relationships between then-candidate Donald Trump and Russian organized crime, according to Fox News. Nellie Ohr was also tasked with researching former Trump campaign chairman Paul Manafort, former campaign aide Carter Page, and former national security adviser Michael Flynn - who had relationships in both Russia and Turkey. Earlier this year the Daily Caller revealed portions of Ohr's committee interview, but the transcript was only made available Thursday. In 2010, she represented the CIA's "Open Source Works" group in a 2010 "expert working group report on international organized crime" along with Bruce Ohr and Fusion GPS founder Glenn Simpson. 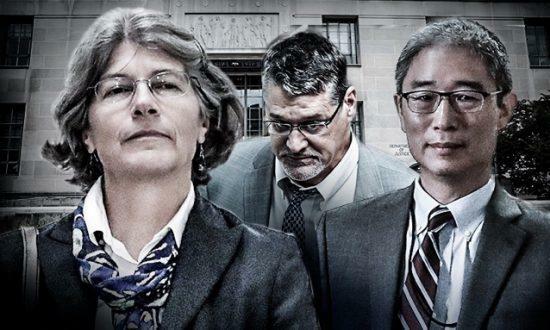 Bruce Ohr was demoted twice after the DOJ's Inspector General discovered that he lied about his involvement with Simpson - who employed dossier author and former British spy, Christopher Steele. Last August, emails turned over to Congressional investigators revealed that Steele was much closer to the Obama administration than previously disclosed, and his DOJ contact Bruce Ohr reported directly to Deputy Attorney General Sally Yates - who approved at least one of the FISA warrants to surveil Trump campaign aide Carter Page. Steele and the Ohrs would have breakfast together on July 30, 2016 at the Mayflower Hotel in downtown Washington D.C., while Steele turned in installments of his infamous "dossier" on July 19 and 26. The breakfast also occurred one day before the FBI formally launched operation "Crossfire Hurricane," the agency's counterintelligence operation into the Trump campaign. On Monday, Senate Judiciary Committee Chairman Lindsey Graham (R-SC) announced that his panel would do a "deep dive" into the "other side" of the Trump-Russia investigation. He also called for the appointment of a new special counsel to look into abuse between the DOJ and Obama administration while investigating Donald Trump and his campaign. "I have plans to declassify and release. I have plans to absolutely release," Trump said during a Tuesday night interview on Fox's "Hannity." "I have some very talented people working for me, lawyers, and they really didn't want me to do it early on. ... A lot of people wanted me to do it a long time ago. I'm glad I didn't do it. We got a great result without having to do it, but we will. One of the reasons that my lawyers didn't want me to do it, is they said, if I do it, they'll call it a form of obstruction." "At the right time, we will be absolutely releasing."